Coming from Thangool 11km into Biloela, turn left at the T intersection travel 800 metres, past Caltex Service Station (on Right) Sun Valley Motel is the first motel on the right with a large illuminated light sign out the front with Sun Valley logo on it. DO NOT TURN RIGHT HERE AS SOME GPS TAKE YOU IN THE WRONG DIRECTION AND WE ARE TRYING TO GET THIS FIXED. 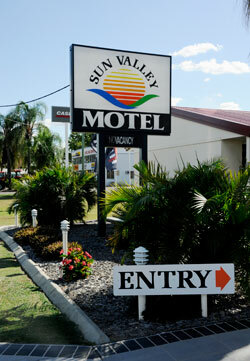 As you are entering town at the T intersection turn left into Biloela on the sweeping bend coming past the Qld Heritage park, travel 500 metres and we are the third motel on the left with a large illuminated light sign out the front with Sun Valley Logo on it. From Banana just continue straight into town and we are third motel on left. As you enter town you will still have to drive through the town centre about 4km from the first roundabout. Go past the traffic lights and continue until you see Sun Valley motel illuminated light sign out the front on the right side of the road with the Sun Valley logo on it. 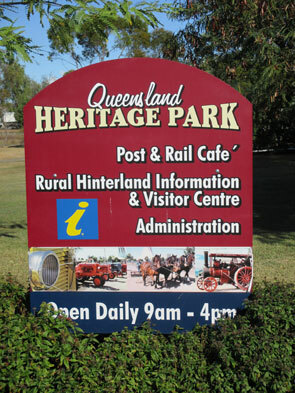 Qld Heritage Park also known as The Silo. Originally on display at Expo in Brisbane in 1988, the Silo now contains educational exhibits, with contributions from primary industries in the area, as well as Callide Coal Mine and Callide Power Stations.The displays are colorful and most informative. You may like to have lunch at the cafeteria.The venue dresses up very nicely as a heritage theme for Weddings, balls, conferences and many other events. Sun Valley Motel are holding a Black Tie Charity Ball here October 17th 2015 in aid of the RACQ Capricorn Helicopter Rescue Service. Take a 4 Wheel Drive Tour of Kroombit National Park – from Kroombit Tourist Park, 35 kms from Biloela along the Valentine Plains Rd, into Kroombit National Park. You’ll see magnificent tall timber areas, Kroombit Gorge, escarpment views, the remains and site of a lost WW11 Liberator Bomber, and more. Take a self-drive day trip around the Banana Shire – Enquire at our visitor centres about the range of self-drive routes and points of interest about the Shire. An example, and must see location is the ‘ghost town’ of Cracow, now being revitalised with the reintroduction of gold mining. Stop for a beer at the Cracow pub, a tourist attraction in its own right featuring extensive displays dedicated to our Australian stockmen and outback larrikins. There’s Fred Brophy’s boxing tent memorabilia and there’s even ‘an Irish lifeboat’ (full of holes). Visit Cracow Beach to see an extensive stand of rare “Carnarvon” Livistona Palms. 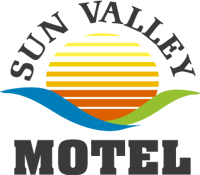 Lake Callide is located 12 kilometers from Biloela via sealed road and approximately 90 kilometers south-west of Gladstone via the Dawson Highway. While compact, the lake provides visitors with rewarding fishing - especially for golden perch (yellowbelly) and has in recent times been well stocked with barramundi. Red-claw is abundant and it's well worth placing (tagged) traps for a catch of the tasty crayfish. A variety of other freshwater species are available to you and anglers report good success from bank fishing though the boat ramps make this an ideal spot for to launch a boat and follow the fish with a sounder. The lake also attracts a wide variety of birdlife and the local region includes some spectacular scenery at nearby Kroombit Tops National Park. 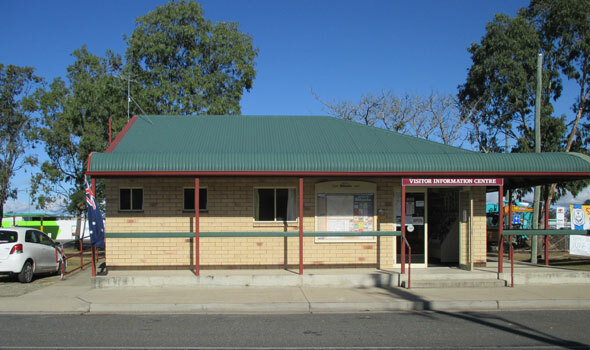 It is a comfortable drive from the major cities of Gladstone, Rockhampton and popular coastal areas. Camping is available along the lake, which also has toilets, picnic tables and a playground. 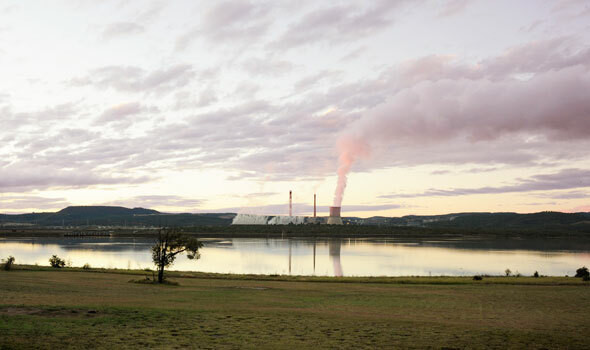 Visit Callide Lookout - The views from the lookout are magnificent, giving the visitor a first hand look at mining operations, Callide Power Stations, Lake Callide and the Callide Valley. (Field glasses are recommended.) For access to the lookout proceed past the Callide Power Stations, turn left after crossing a grid and proceed with care. The drive is well worth it. The road is part bitumen and part gravel, and not suitable for caravans. Have a picnic at Mt Scoria - Located near Thangool and 15 minutes drive south of Biloela, Mt Scoria Conservation Park is recognised for its amazing rare rock formation, 150 metres high and once the core of a volcano. Colloquially known as ‘Musical Mountain’, the long six-sided basalt columns sound musical notes when struck by another rock. This small attractive park, with picnic and toilet facilities, provides an ideal setting to rest and take in nature. If you’re ready for something different, visit Greycliffe Homestead and step into the past. The homestead has been moved to its present position on the corner of the Dawson Highway and Lawrence Street from Greycliffe Station where it was once the family home of the pioneering Nott family. 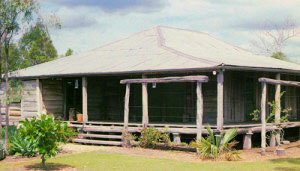 The slab building is over a century old and is heritage listed. Inside there are all the relics of the past that tell the story of life in the pioneering days.